These are listed, in order by their ease of availability and setup. 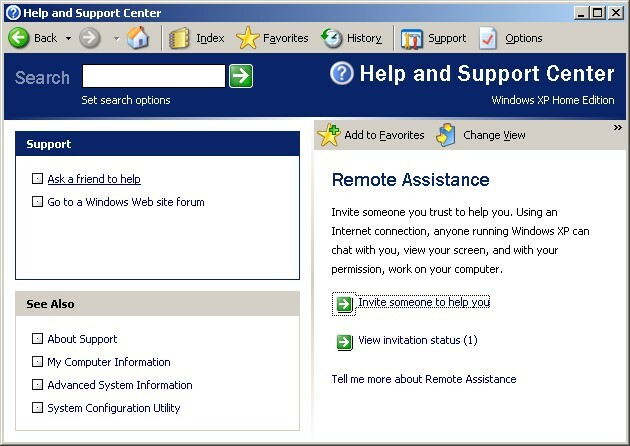 Microsoft has a built in Remote Assistance feature for Windows XP and later versions. So let's start with this one. 1. Send an invitation for access to your desktop, to a consultant, then Windows does the rest. In ID text box you can type the other PC that you would like to connect. For example, mine is ID = 572 346 964 , password is LFMM****. if you would like to copy file choose file transfer. Then, press the “connect to partner” button. Your partner will accept your request when you press the button. That is easy and effective. It is free! You can download it, use it, and redistribute it under the terms of the GNU Public License. Both binaries and source code are available from the download page, along with a complete copy of this documentation. Then enter the password you have assigned. And here's your desktop through a browser! If you need to do file transfer, you can do that separately through FTP. Open an FTP connection to the same address, "123.456.789.10". 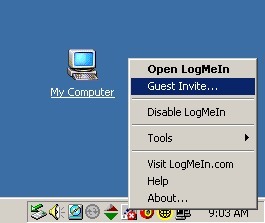 Log in with the username and password to gain access to the directory. GoToMyPC is a popular new technology that lets users access their computer from any Web browser. Easy set up in minutes allows users to work from home or the road and gives them secure and immediate access to their email, files, programs and network resources from anywhere. GoToMyPC is the CNET Editors' Choice pick for remote access, and they say "you'd be nuts not to sign up for a GoToMyPC account." Introducing a new technology that PC Magazine calls "revolutionary" and The New York Times calls "ingenious." You can use all of your normal software and data files, right on your own pc or network, from any browser. 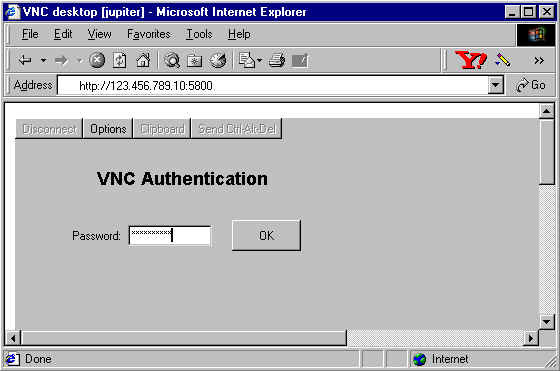 You also do not know the IP or require a static IP as with VNC, as GoToMyPC takes care of matching up the host and client. WebEx uses a standard web browser - which almost everyone has! This option requires no special software and is the easiest to set up. Click here if you would like Webex for your own organization. The video picture is an option if you have a computer camera, but not necessary. We will only need to use Netmeeting's Remote Desktop Sharing feature. Note: this required port 1503 to be open. We can use Symantec's PC Anywhere, if you have it installed. The advantage of PCAnywhere is that it can be set in automatic stand by mode. This is the better option for longer term projects and remote sessions. Firewalls require special setup with your System Administrator. real-time, interactive conferences and meetings over the Internet. 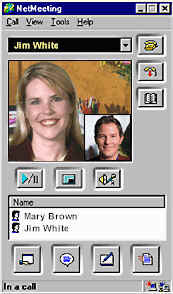 technology becoming the foundation for a collaborative computing system for the U.S.
PlaceWare was formed in 1996.
with up to 2,500 participants, at once. With traditional applications you still need locally installed software to control a remote computer. 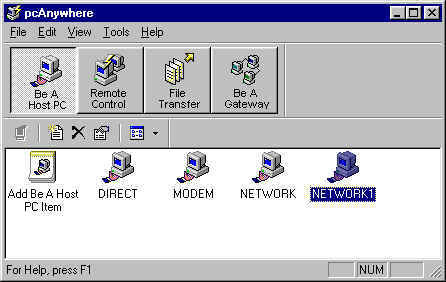 Using Carbon Copy Solution, you can connect and control an installed Windows client from any location and any computer with Microsoft Internet Explorer. Simply click on the Carbon Copy URL and the remote access console is immediately downloaded and ready to run. The console is only cached – so files aren’t permanently left behind. However this requires special software to reside on the host machine. Either way we can be of assistance right now. We pass the savings on travel costs on to you.